Welcome to Skydive Spain! Southern Spain's #1 dropzone, located near Sevilla. Learn to skydive or experience the fascination of your first freefall in sunny Andalucía. Situated nearby many international airport, such as Seville, Jerez, Faro, Malaga, visiting Skydive Spain is easy! We offer the memorable first time tandem skydive experience! For those looking to become skydivers, we have beginner skydiving courses; the Accelerated Freefall Course (AFF) held regularly at our dropzone. Our highly qualified instructors speak many languages and have instructor ratings with the British Parachute Association and United States Parachute Association. At Skydive Spain, we fly up to 15,000ft, the highest altitude in Europe and offer world-class coaches for progression courses or team training of any discipline. 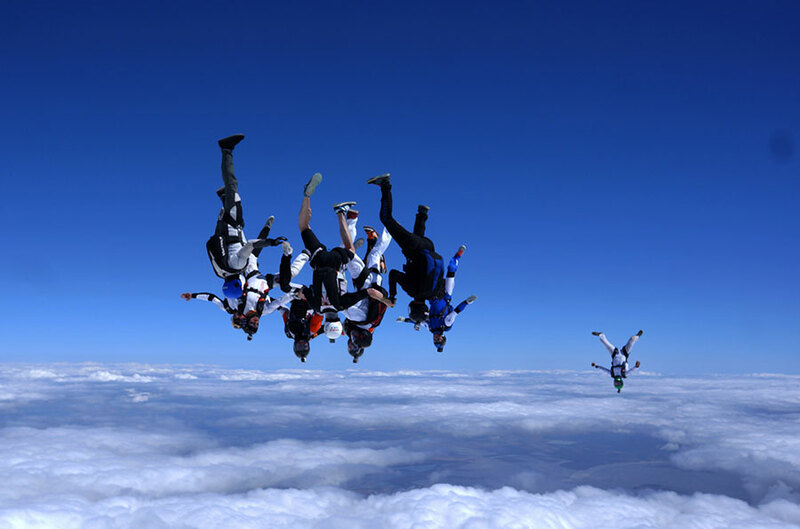 If you're looking to make a first time jump, learn to skydive or are an experienced freefly, formation or wingsuit skydiver, Skydive Spain is THE place to jump in Spain!